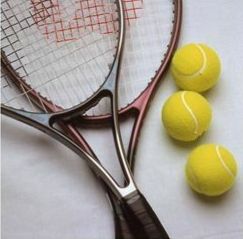 The ATA Adult tennis league is played in a team format with 3 doubles matches per meet. Play is divided over 2 main league sessions; Fall & Winter/Spring. A "Bonus" Summer session consisting of 8 weeks of play will be made available for those teams who choose to participate. At the end of each session, awards will be presented to the teams as outlined in the ATA League Rules. 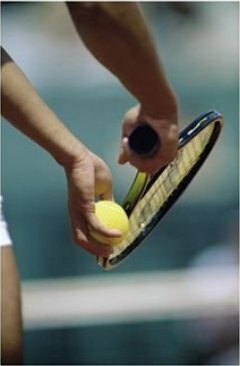 League Divisions, 3.0, 3.5, 4.0, 4.5, 5.0I & 5.0 II are based on NTRP levels (National Tennis Rating Program). An ATA League Membership is required of all participant, including subs. ATA League Memberships are $45 per year and are based on the month in which a league session starts. Members will have one of three expiration dates: January 1st (Winter/Spring Session), June 1st (Summer Session), or September 1st (Fall Session). Tennis teams compete in the ATA at various locations in Maricopa County, Arizona. A full time tennis league administrator organizes and schedules each session. Anyone can form an ATA team. New teams must submit a roster of at least 6 players committed to playing in the league, for pre-approval. This should be done prior to registering for the league. New team rosters should be sent via email to the ATA League Administrator (see below). ATA Captains receive a Free Membership. Teams must provide their own courts (Home Location) and must have access to three courts at the same time for every match. A team match consists of three Doubles matches and are scheduled once per week. Teams may register online or fill out a Team Registration Form and send it via email (atajo.az@gmail.com) or postal mail to the league office. All teams must submit the team registration fee of $25.00 for each session by the session registration deadline. The registration fee must be included with the team registration form if you are mailing it in or it may be paid online (see below). or by phone, 480-970-1011 and request assistance in finding a team to join.